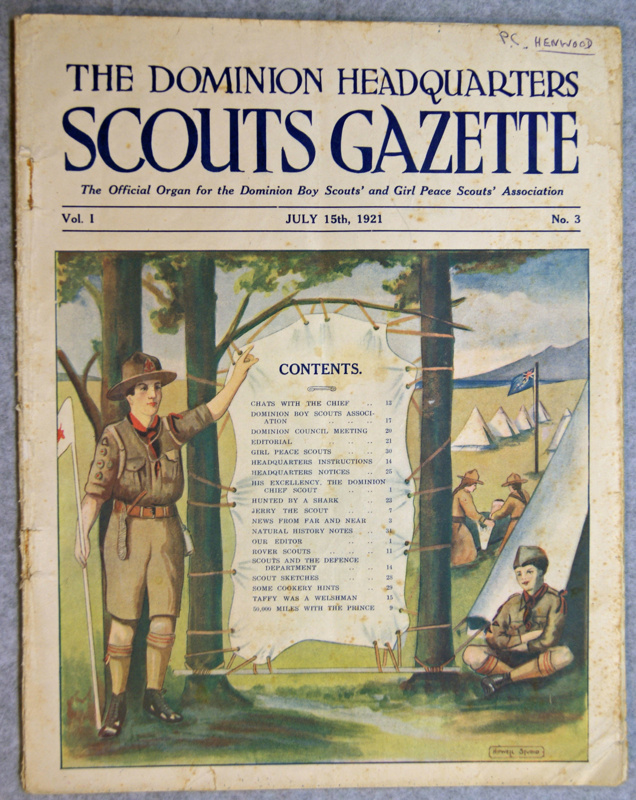 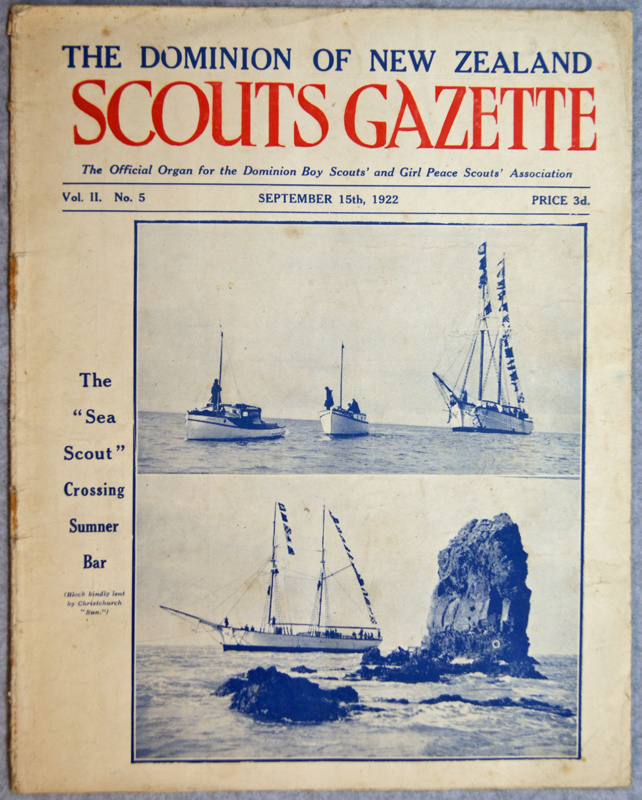 "The Dominion Headquarters Scouts Gazette" was a monthly magazine for boy and girl Scouts and their leaders. 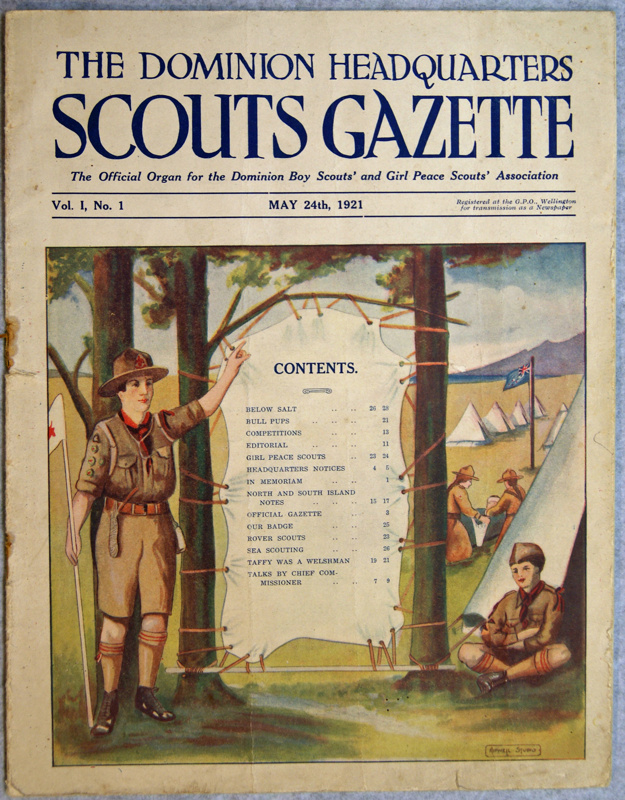 The first issue appeared on 24th May,1921 and continued until 21st January, 1923. 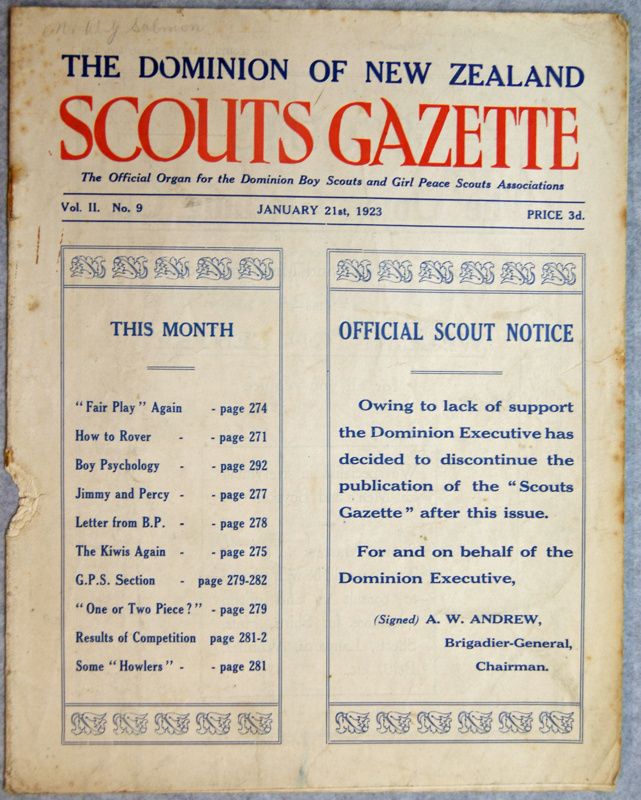 In that time there were 2 volumes, the first of 12 issues to April 1922, the second of only 9 issues before publication ceased due to a lack of subscribers.